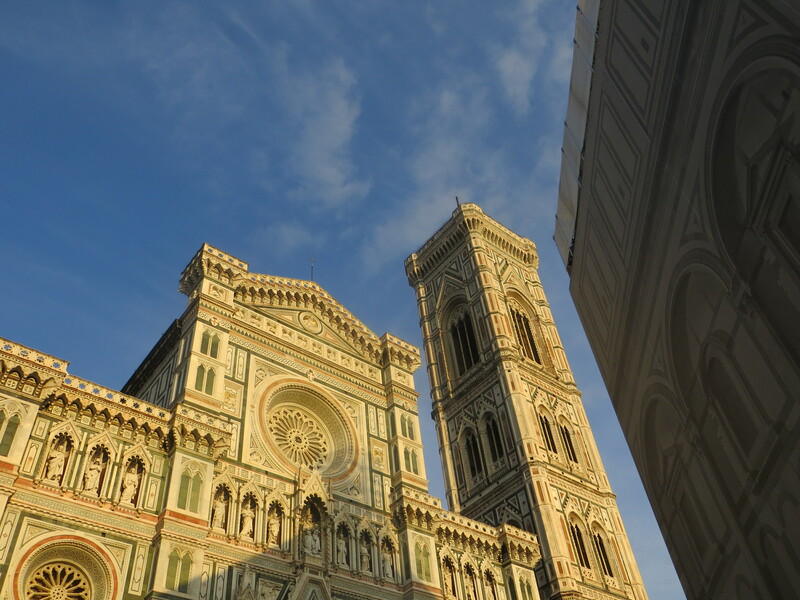 Florence is a study in both the old and the new. 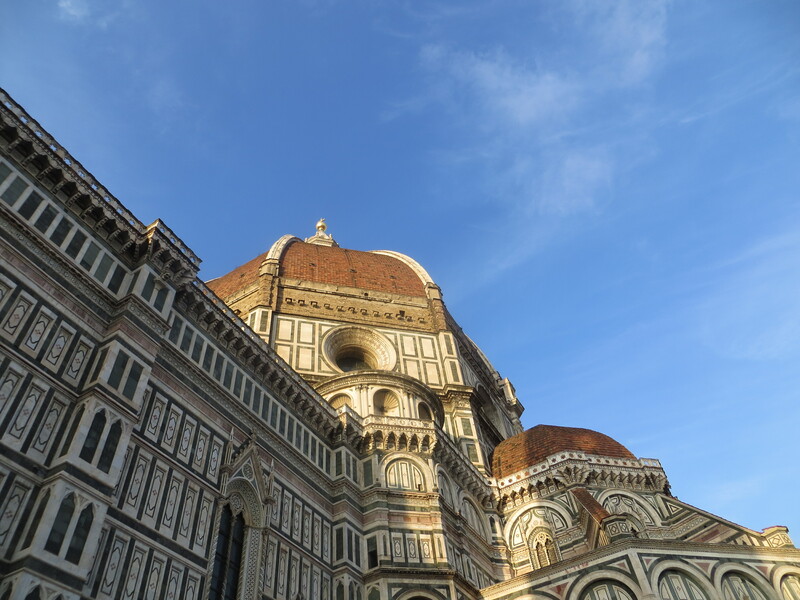 I believe most travelers make their way to Florence for the old–to walk among the Renaissance era buildings, to view the ancient art, to taste the pasta recipe that has been handed down through generations–but when they arrive, they find the new. 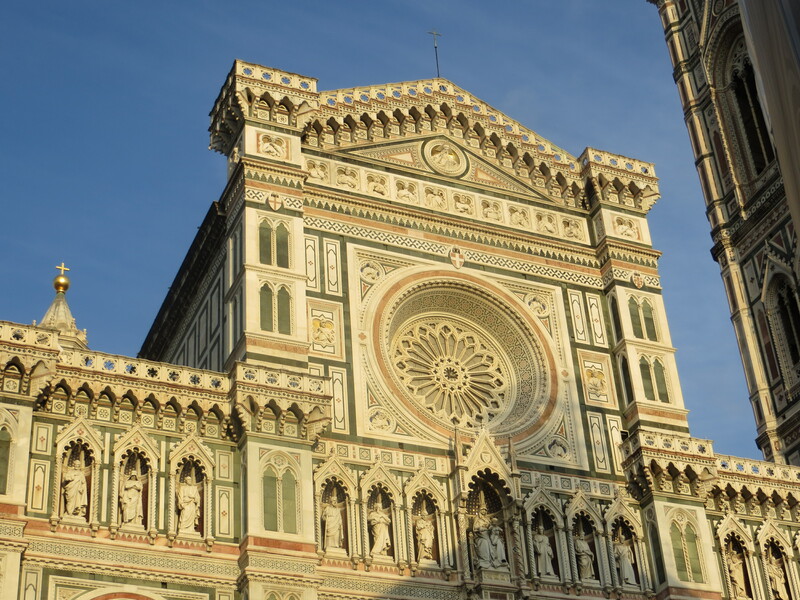 Florence is a living, breathing and working city. In walking around and meeting Florentines, it is apparent how much they support emerging artists and embrace the modern in all its forms. Perhaps this attitude is what has led this art-driven, culture-soaked city through centuries. Florentines are proud of what their ancestors have left them and yet, still believe that it is not what their legacy will be. 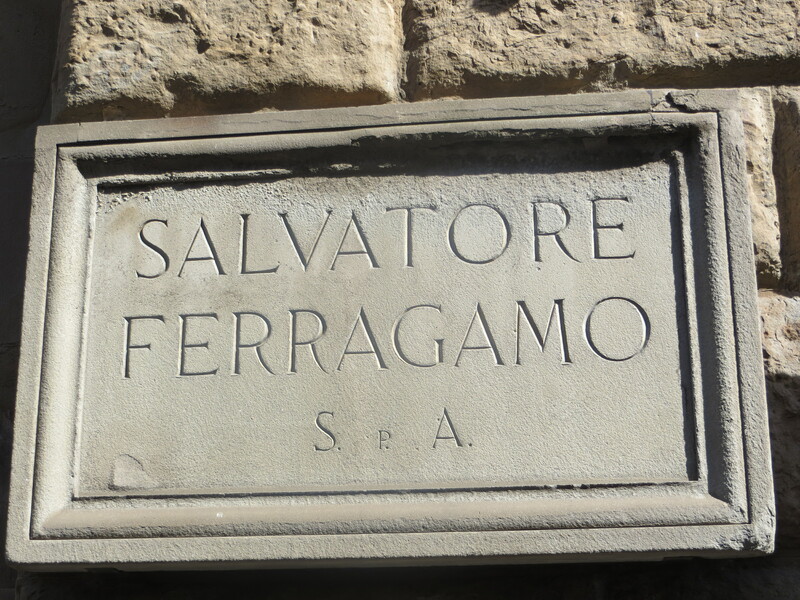 I found what I was looking for in Florence and so much more. 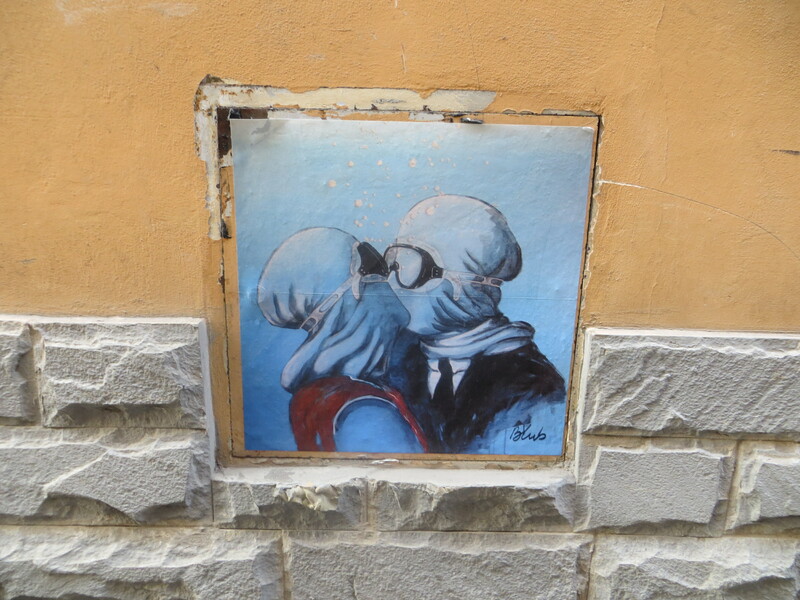 We found this underwater-themed street art hidden all over Florence. It may sound simple, but my latest travel “thing” is to schedule in a few hours of wandering as soon as I arrive. Maybe maps are lost on me, but I need to walk the square mile around where I’m staying to best understand my location. 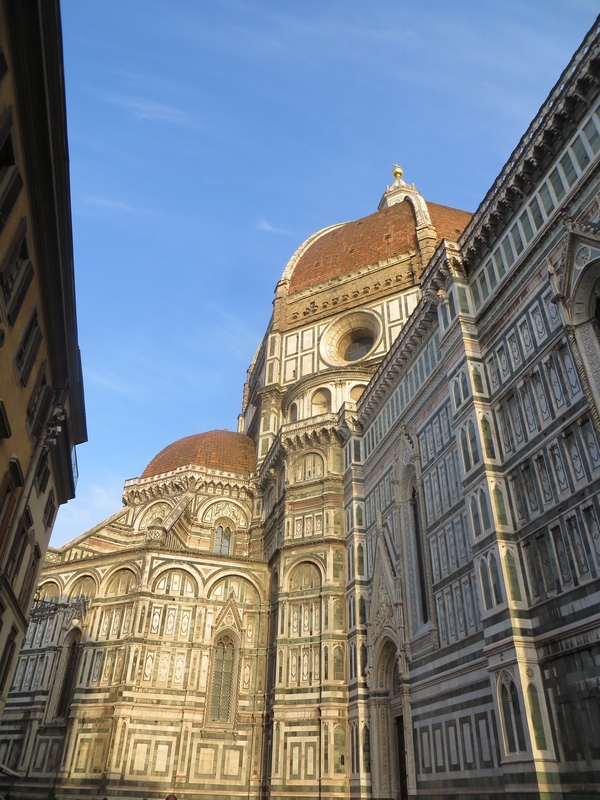 Florence isn’t so much a maze like Marrakech, but around each cobblestoned corner lies a temptation–a leather boot store or a gelato shop–that easily gets you off course. You become happily lost. And well-fed. 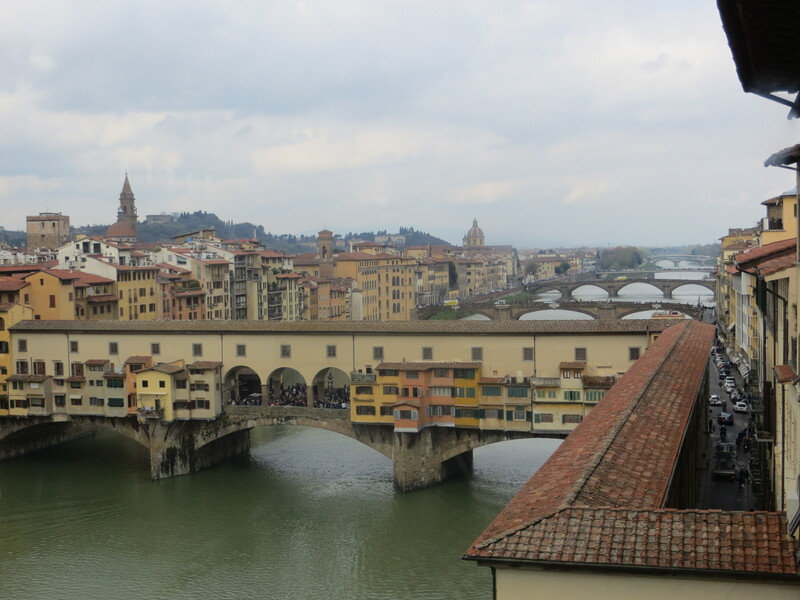 Soaking up vitamin D on the Ponte Vecchio bridge. …and the best pistachio gelato I’ve ever had (not pictured, sticky fingers). 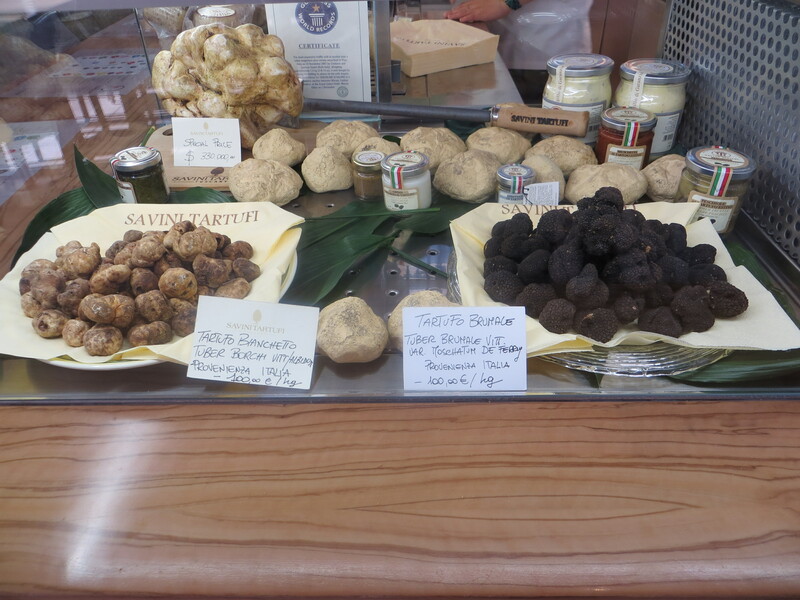 We also found the Mercato Centrale, which re-opened exactly one year ago this month. Apparently, this 1874 iron-and-glass building has been largely unused, leaving the charming neighborhood as a sort of wasteland. It was designed by Giovanni Mengoni, the same architect who designed one of the world’s first shopping malls–the ornate Galleria Vittorio Emanuele II in Milan. Today, the Mercato Centrale is bustling! On the first floor one can shop for local produce, meat, fish and cheese. On the second floor, one can dine in what must be one of the most stylish food courts I’ve ever stepped foot in. This is a great spot for a traveler, because it requires no reservation, dining is affordable, and it is open from 10am until midnight. After a wood-fired, eggplant pizza for lunch we went back the next day for dinner. 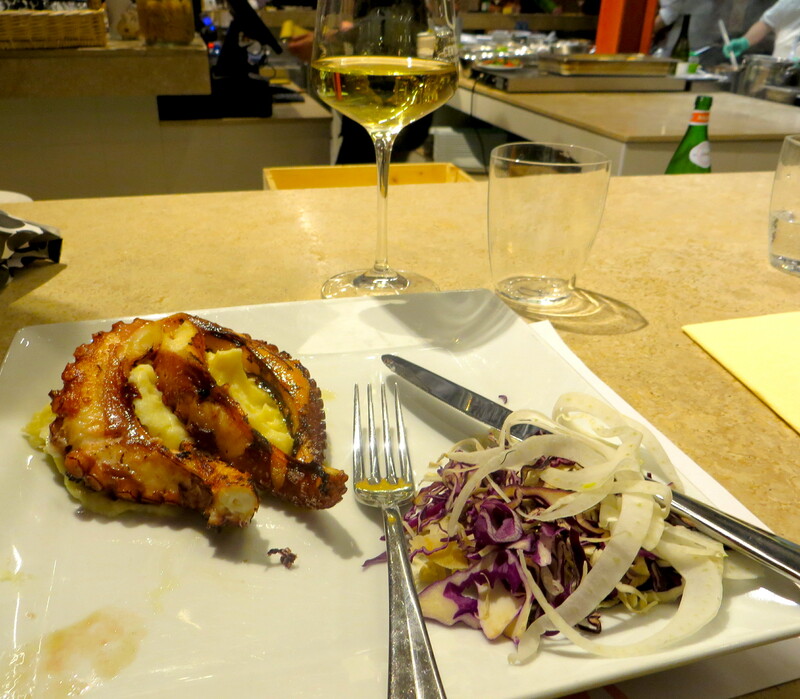 My dinner: Grilled octopus over ricotta mashed potatoes. 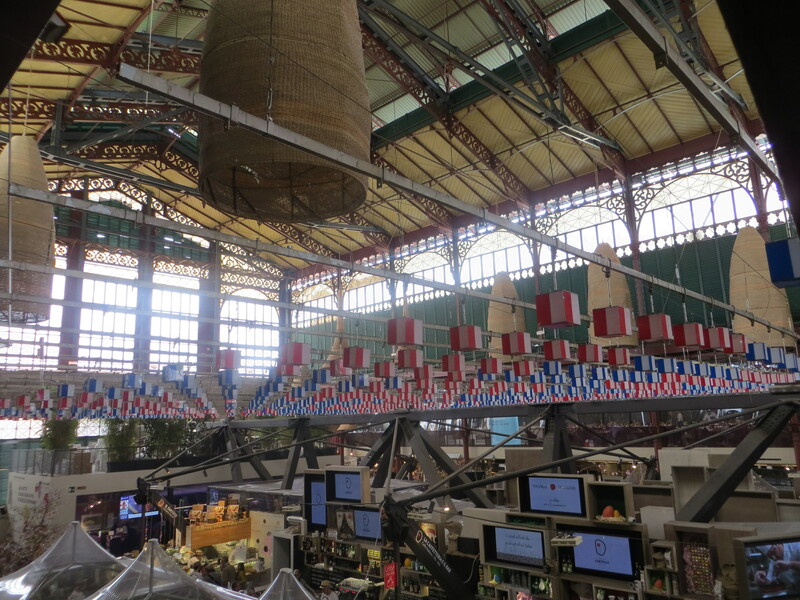 Next to the Mercato Centrale, we joined a wine tasting at La Divina Enoteca–a former fish market. 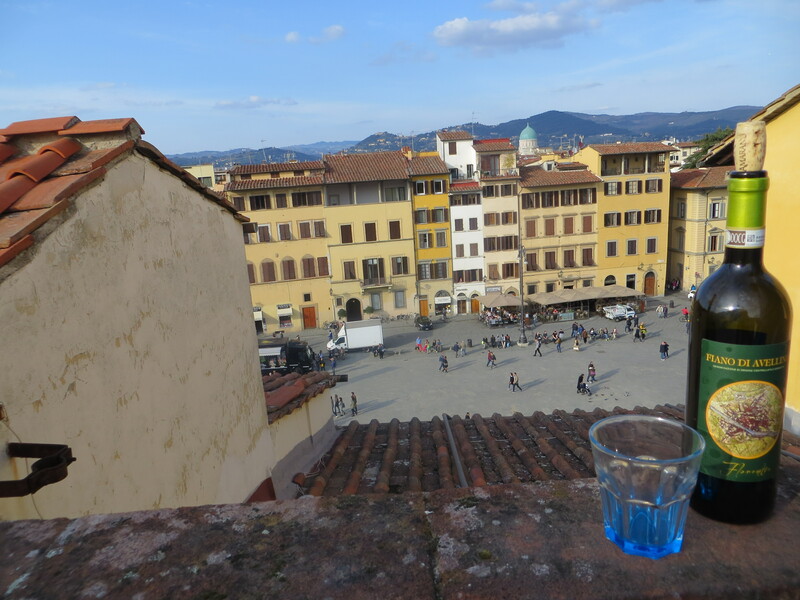 Before arriving in Florence, I was really trying to find an affordable vineyard trip in the Tuscan countryside…but with just three days to explore Florence we opted for an evening tasting (and saved about $200!). I’d recommend this 1.5-hour course and I’m glad we took it the first evening so we knew a bit more about the wines we would see on menus throughout the weekend. See the marble sinks on the right? Used for selling codfish in decades past. 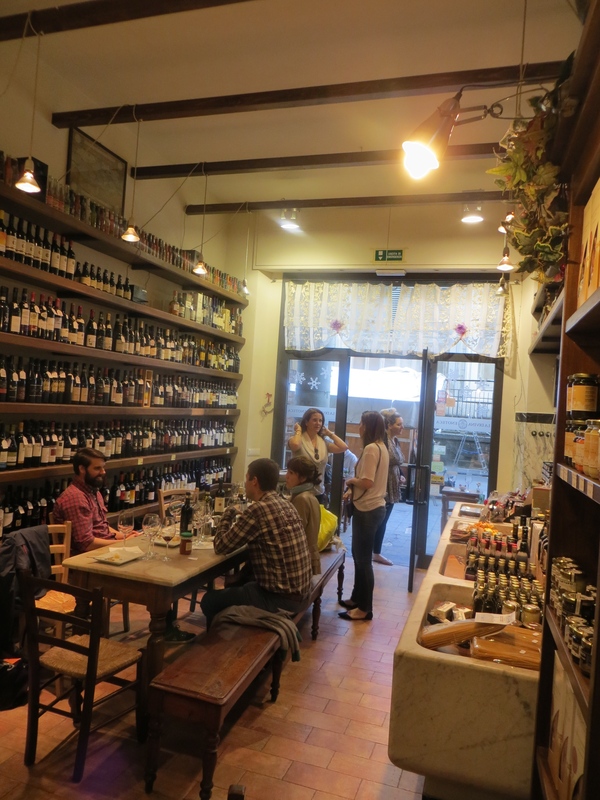 We tasted Tuscan olive oils, cheeses, salami and wine under proprietor Livio’s guidance. 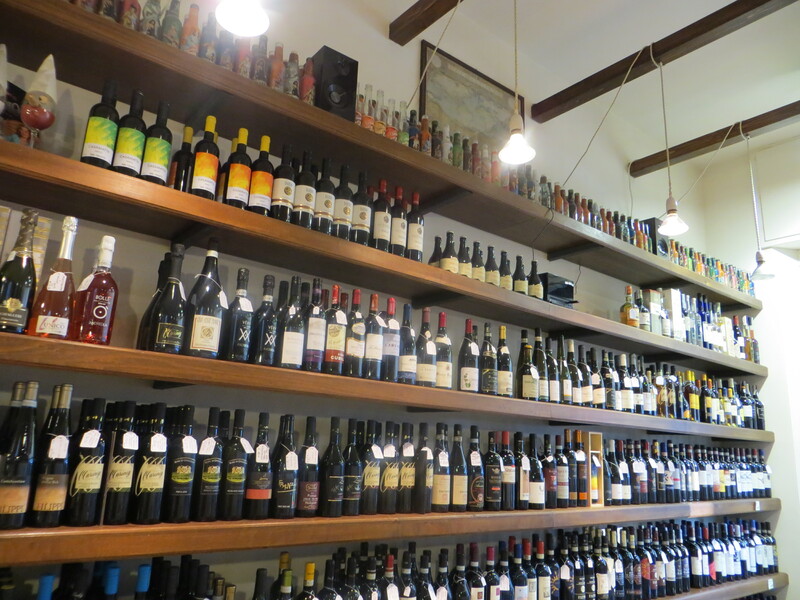 The Chianti Classico came back to haunt me hours later with a piercing headache, but I did find a Tuscan white wine I absolutely loved–Verdicchio. We tried a 2012 vintage that had a complex mineral quality and just a hint of salt. Totally unlike any Californian or French white I’ve tasted. We also enjoyed getting to meet other travelers in our wine tasting. As lonely expats with a small circle of Swiss acquaintances, we’ve got into the habit of making friends wherever we go. When we used to travel from our home in Washington, D.C. we would keep to ourselves, feeling smug that we had so many friends at home. These days, we make connections wherever we go and embrace friendship wherever it presents itself. It’s a shift in attitude that I’ve come to love. 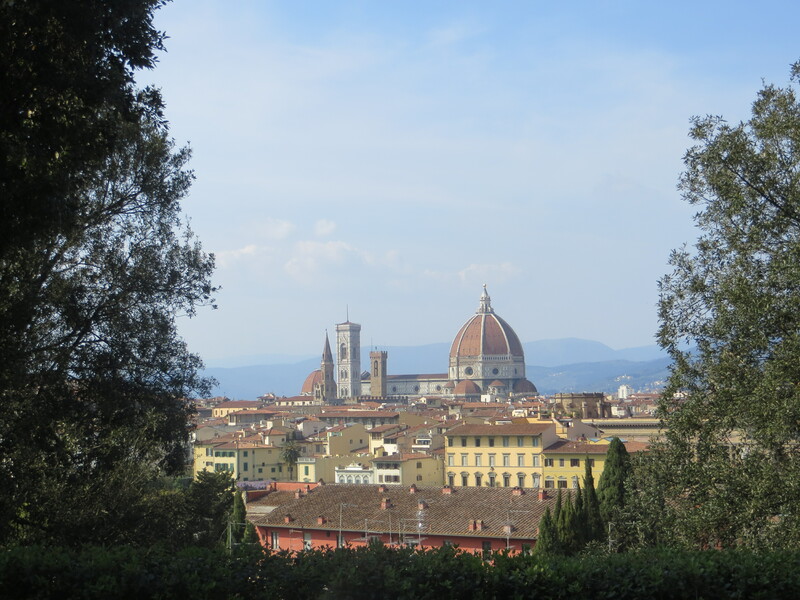 The view from our rooftop apartment: Piazza Santa Croce. 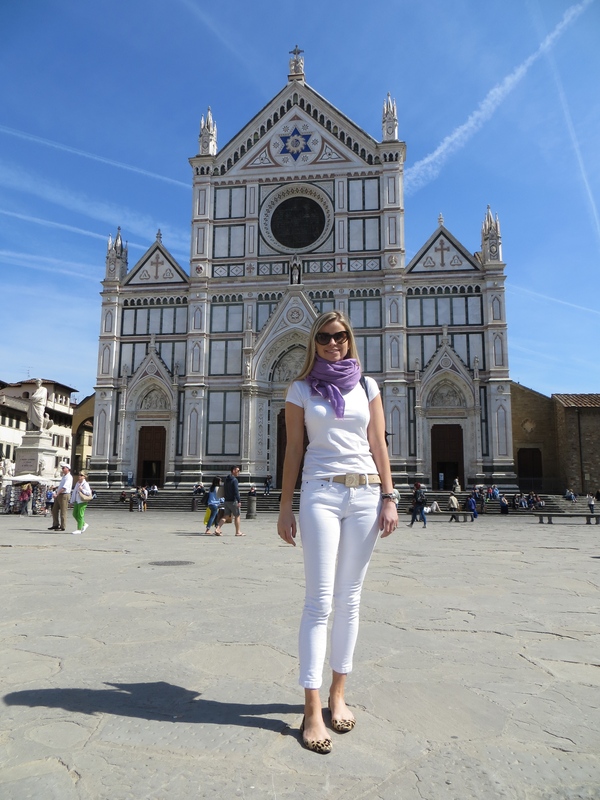 Basilica Santa Croce, right in front of our apartment.